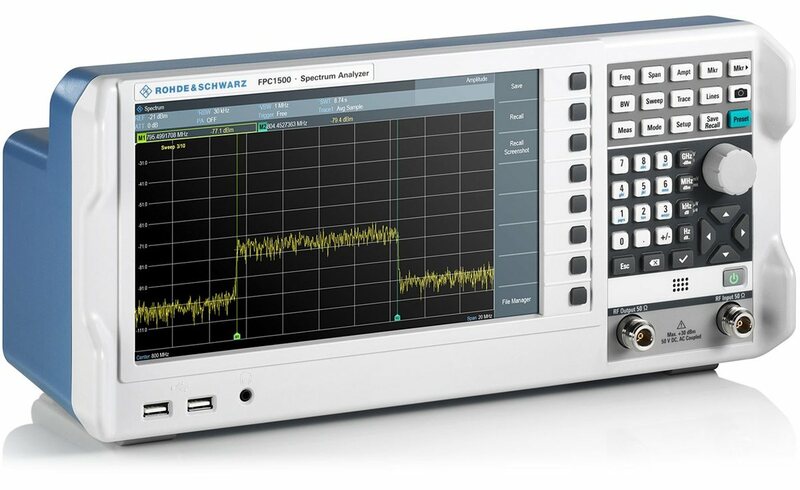 Rohde & Schwarz FPC1500 Spectrum Analyser ! !Special Offer!! 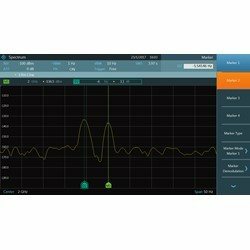 Premium spectrum analyzer with 5 kHz to 1/2/3 GHz bandwidth (upgradable by software option), 1 Hz to 3 MHz RBW and a 25.6 cm (10.1") color display (1366x768 pixels). The integrated tracking generator can also be used as a standalone signal generator. 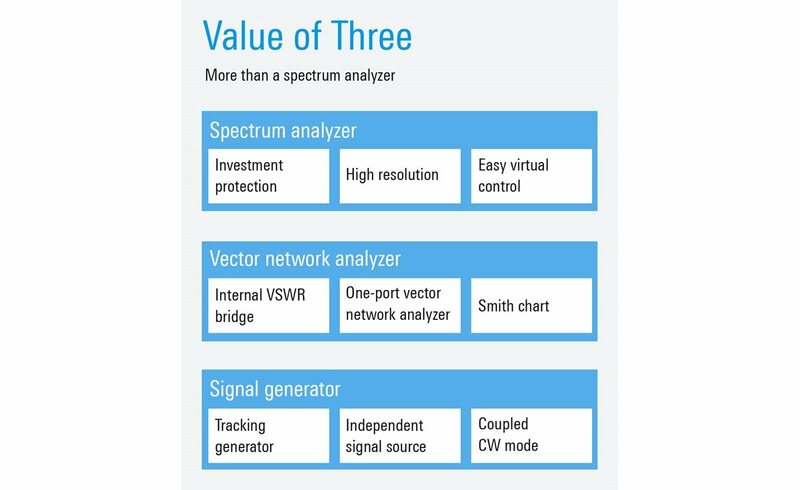 Upgradable to a one-port vector network analyzer, providing a unique 3-in-1 solution with spectrum analyzer, signal generator, and a vector network analyzer in one compact device! Investment protection, high resolution and easy virtual control. These characteristics make the R&S® FPC1500 spectrum analyzer the perfect tool for university laboratories, basic research as well as production and service facilities. Investment protection through software upgrade capability. 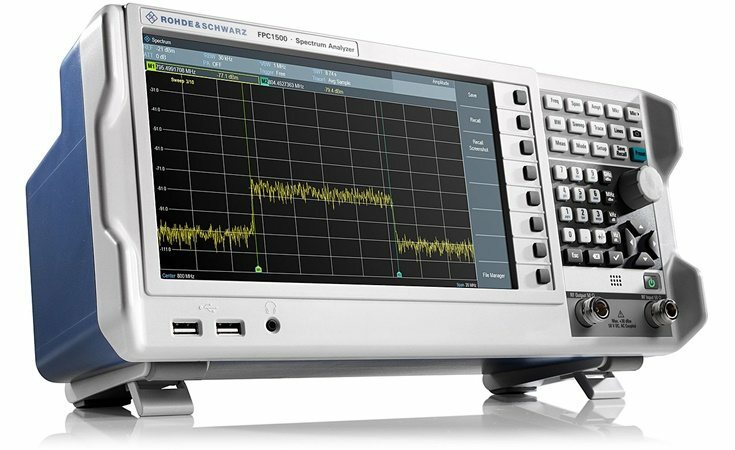 The R&S® FPC1500 base instrument has a frequency range of 5 kHz to 1 GHz. Keycode options unlock higher frequency ranges up to 3 GHz or enable other features when required. Class-leading RF performance engineered in Germany. Extraordinarily low noise floor and high max. input power combine to provide for the best dynamic range in its class. Resolution bandwidth settings to 1 Hz resolve finer spectral details than any other spectrum analyzer in this class. See more details with high resolution. 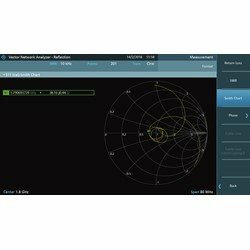 The R&S® FPC1500 is a vector network analyzer that utilizes an integrated VSWR bridge to achieve one-port vector network analysis, with a Smith chart display available. Having an integrated VSWR bridge means there is no need to mount/dismount an external bridge during test operation. The R&S® FPC1500 is a signal generator due to the unique independent source principle. Not only does it provide standard tracking generator functionality, it can also be used in free or coupled CW modes. By combining the Value of Three instruments, the R&S® FPC1500 is truly unique. The advantages of this three-in-one concept reach further than having only one bench space occupied. A single instrument also means that to obtain the specified measurement performance, only a single investment and a single calibration are required. The R&S® FPC1500 features the largest and most detailed display in its class at 10.1", WXGA (1366 × 768 pixel) resolution. The display is 26 % larger and has a 160 % higher resolution than other instruments. Virtual control enables remote control and measurement. The R&S® FPC1500 supports wired Ethernet and wireless Wi-Fi connectivity. R&S® InstrumentView for Windows as well as the iOS/Android app-based R&S® MobileView platforms enable remote control and measurement anytime, anywhere. You will find further technical details of the R&S® FPC series in the FPC1500 datasheet. 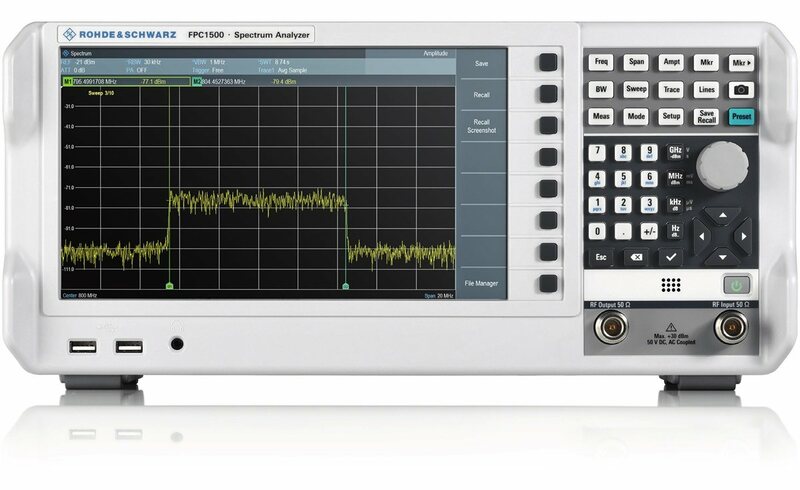 The R&S®FPC1500 combines spectrum analysis, one-port vector network analysis functions and signal generator capabilities in a single entry-class instrument that truly delivers the Value of Three. 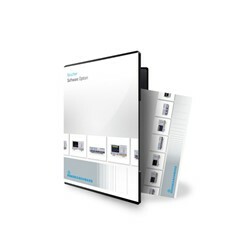 Class-leading RF performance engineered in Germany. Extraordinarily low noise floor and high max. input power combine to provide for the best dynamic range in its class. Resolution bandwidth settings to 1 Hz resolve finer spectral details than any other spectrum analyzer in this class. Investment protection, high resolution and easy virtual control. 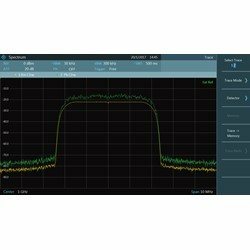 These characteristics make the R&S® FPC1000 spectrum analyzer the perfect tool for university laboratories, basic research as well as production and service facilities. Investment protection through software upgrade capability. 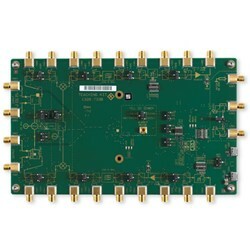 The R&S® FPC1000 base instrument has a frequency range of 5 kHz to 1 GHz. Virtual control enables remote control and measurement. The R&S® FPC1000 supports wired Ethernet and wireless Wi-Fi connectivity. R&S® InstrumentView for Windows as well as the iOS/Android app-based R&S® MobileView platforms enable remote control and measurement anytime, anywhere. Multifunctional kit for teaching and work. For the FPC1500 Spectrum analyzer. 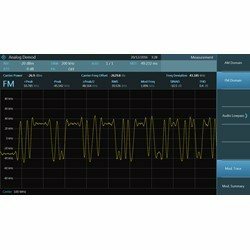 The Modulation Analysis option converts the R&S® FPC1000 into a modulation analyzer for measuring the modulation quality of amplitude or frequency-modulated signals. The analog demodulation display shows the waveform as well as a summary of measurement parameters such as carrier power, carrier offset, modulation index (depth) for AM signals, frequency deviation for FM signals, SINAD, THD, etc. The R&S® FPC-K42 vector network analysis enables the internal bridge for S11 reflection measurements, including Smith chart and distance-to-fault (DTF). 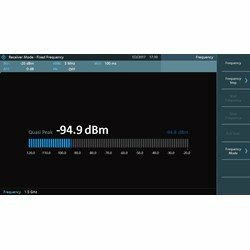 The receiver option measures the power level of a specific frequency or a customized set of frequencies instead of sweeping over (parts of) the frequency spectrum. The R&S FPC shows the results in result displays that have been designed for just such measurement tasks. The receiver mode also adds the necessary functions like bandwidths or detectors to perform measurements according to CISPR (EMI Precompliance measurements). Step up measurements. 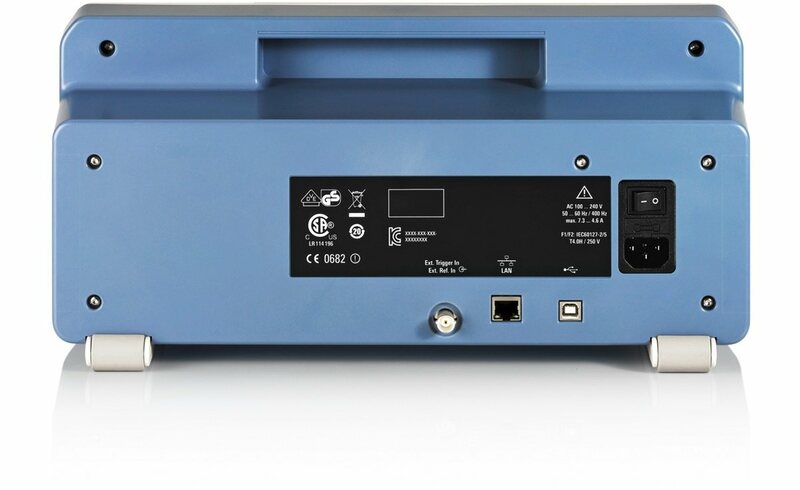 The R&S® FPC-K55 adds functions for measuring channel power, occupied bandwidth, adjacent channel leakage ratio (ACLR), spectral emission mask (SEM), spurious emissions and third order intercept (TOI). It even provides a spectrogram display to provide easy insight into spectrum occupancy and time-varying signals. The R&S® FPC-B22 preamplifier compensates for coupling loss of probes and increases sensitivity to detect small interfering signals. Spectrum Analyzer Frequency Upgrade from 1 GHz to 2 GHz. Spectrum Analyzer Frequency Upgrade from 2 GHz to 3 GHz. 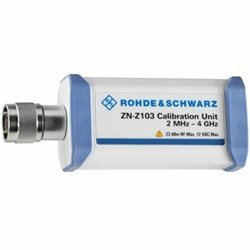 The R&S® ZN-Z103 calibration unit switches automatically for convenient and one-step calibration internally between OPEN, SHORT and LOAD. All probes are easy to handle due to their design and are suitable for recording high-frequency fields 30 MHz designed in printed circuit board layout and on components. The magnetic field probes contain special, electrically shielded probe heads. The different head shapes are adapted to the tasks of the measurement. The upper cutoff frequency of a probe will be of the size and type of the probe head. 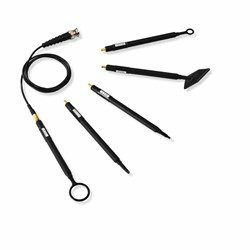 All probes are passive and are connected to the 50 Ω input of a measurement receiver, spectrum analyzer or oscilloscope. 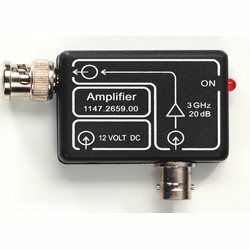 Preamplifier 3 GHz, 20 dB, power supply 100-230V, for HZ-15. Input and output are 50 Ω BNC connectors executed. Rack Mounting Kit to mount the R&S FPC1000 in a 19" rack.